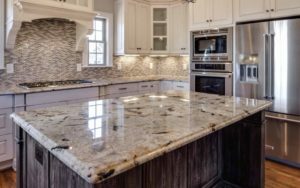 Are you currently looking for the best granite countertops in Tampa Bay but you just have no idea where to begin? Look no further than Tampa Bay Marble & Granite! Our team is always here to help you, and we guarantee you top quality service and excellent countertops for your home. 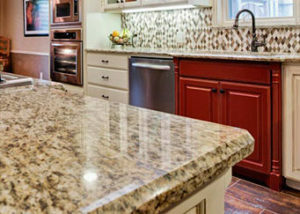 To give you a jumpstart, here are 5 tips for buying the best granite countertops in Tampa Bay. Granite is scratch and heat-resistant. Quartz is both scratch and chip-resistant, but it is not as effective as granite in resisting heat. Marble is permeable and soft. Our clients often pick it for its aesthetic allure than its durability. You goal is to make sure that your countertops are as sturdy as they can be. So, it is best that you NOT go for the 3/4 inch or 2 cm granite counters which are more vulnerable. Simply bear in mind that they require lamination on edges and extra support in many cases. Nonetheless, depending on the application they could be worth of your investment. In most cases it is better to choose the 1.25 inch or 3 cm countertops if you are truly searching for premium quality and better resilience. These are especially important for granite countertops in kitchens which typically need the extra durability. Quartz offers both 2 cm and 3 cm options but with due to the resin added in the manufacturing process they are a little safer to opt for the 2 cm option in some applications. When in doubt ask your fabricator and don’t just try and save a few bucks but choosing the thinner but cheaper option. There is a significant reason why this sort of sink is getting popular nowadays. It is simply because it offers the very best functionality in all kitchen countertops and bathroom countertops. Also, it is definitely stylish. You can quickly wipe all the crumbs, water, and messes that build up on the counter right into the sink. It does not burden you when it comes to cleaning. Meaning less edges where mold and dirt can build up. Many homeowners tend to neglect the importance of color. Sure, it can be very tough to choose, most especially if you have plethora of choices running in your head. Worry not, though, as our team in Tampa Bay Marble & Granite can help you accordingly. We have a good number of samples in our showroom that you can take look at. More importantly, you can take home samples to help make sure that the color perfectly fits the cabinets and flooring of your area. Doing so guarantees uniformity in terms of design and elegance. 5. Choose Value over Price Always! Buying the best granite countertops in Tampa Bay is NOT about buying the cheapest you can find. Quality matters a lot when buying granite countertops. The material is a natural product and there are not all pieces are the same. You can find the same color at multiple suppliers but the quality of that material can vary greatly. Most granite slabs are graded by their quality. Grade A granite is the best while grade C or below is usually only used for commercial applications due to the lower quality of the material. Unfortunately, many cheap suppliers will offer commercial grade or lower grades to be used as countertops at a lower square foot price. Don’t fall for this trick. Lower quality granite generally has more imperfections on the surface, cracks, fissures, blemishes, or poor patterns. Also the craftsmanship of the fabricator and installer will determine the end result of your project. If you want the best results then choose a company that offers better quality craftsmanship. Remember your buying a functional piece of art not just another building material. Overall, if your looking for the best granite countertops in Tampa Bay then you should visit us at Tampa Bay Marble & Granite. We offer the highest quality materials, craftsmanship, and prices in the area. Our skilled craftsman have extensive experience and with us you save money since there is NO MIDDLE MEN. We import a lot of our own granite slabs, we are the factory, fabrication, and installer. That means you can get the best of all worlds and get a quality granite countertop at a great price. So, what are you waiting for? Pick up the phone and call us now! Let us schedule you an appointment, so we can finalize your Tampa Bay granite countertops!